Jennifer Edelbrock, who received probation for thefts from the Spencerville Veterans of Foreign Wars and Kalida Band Boosters, now faces federal charges claiming she stole $914,000 from clients of her payroll business. 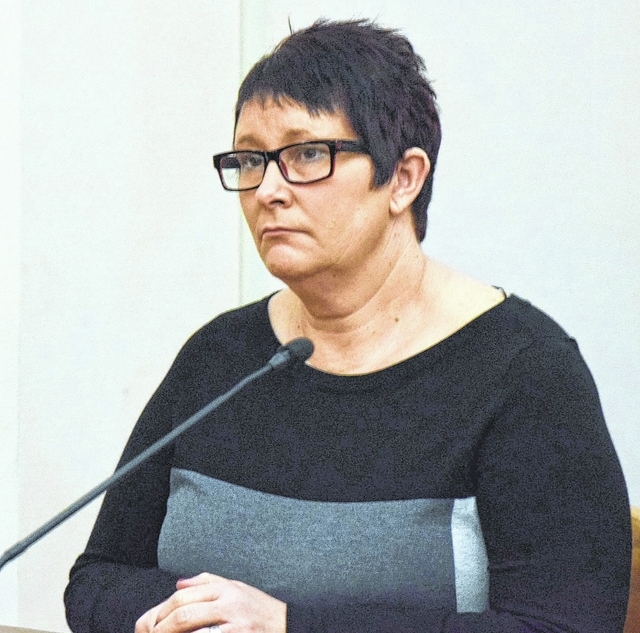 DELPHOS — The owner of a Delphos payroll company faces seven federal counts of bank fraud after allegedly stealing more than $900,000 from her clients, according to a press release from the U.S Attorney’s Office for the Northern District of Ohio. Jennifer Edelbrock, 51, of Kalida, operated Edelbrock Enterprises LLC, including Edelbrock-Reitz LLC at 945 E. Fifth St., Delphos. The company handled payroll and accounting services for companies in the region, including issuing checks and withholding federal and state taxes and making quarterly payments from money provided by the clients. U.S. Attorney Justin E. Herdman and FBI Special Agent in Charge Stephen D. Anthony announced the seven indictments Friday. They said Edelbrock fraudulently obtained at least $914,000 for personal gain. According to the indictment, Edelbrock moved the funds from clients’ bank accounts to the account of All Seasons Lawn and Recreation LLC, which was owned by her husband. Authorities raided Edelbrock’s business first on May 19, 2015, as part of a local investigation into financial crimes. In November 2016, Edelbrock received three years probation in Allen County after stealing $19,176 from the Spencerville Veterans of Foreign Wars post. In Putnam County, she received 40 days in jail and three years probation for stealing $17,250 from the Kalida Band Boosters. In the federal case, the indictment said clients expected her to hold money in trust to pay her clients’ payroll expenses, including federal, state and local tax obligations. She allegedly concealed the late payment of taxes, as delinquency notices and penalties only went to her. She also allegedly manipulated client payroll obligations, adding $25 to $90 per pay period to the employer responsibility for taxes above what employers actually owed, according to the indictment. The overcharged money went toward her own personal enrichment, according to the indictment.